Renowned guest speakers to lead summer hiking adventure trips to the Canadian Rockies, including Wade Davis, National Geographic Explorer-in-Residence; Marybeth Bond expert on Women’s Travel; Brian Keating, Professor of Anthropology; Eric Larsen, noted Polar Explorer; and Michael Proctor, Grizzly Bear expert. Some of the most spectacular scenery known to man, challenging hikes, mountaineering, gourmet mountain cuisine, comfy accommodations and now this speaker series come together to ensure a spectacular journey for both the body and mind. 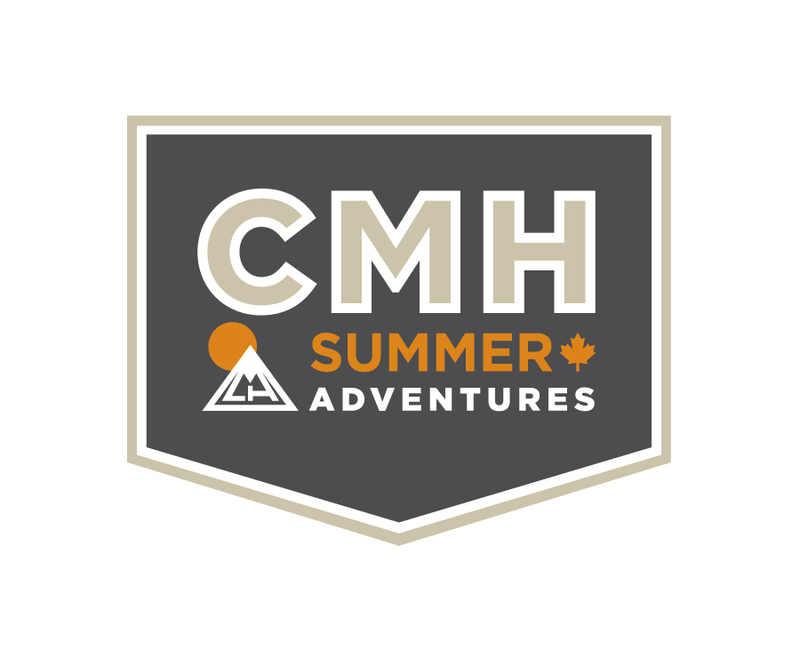 CMH Summer Adventures has put together another outstanding line-up of guest speakers for their summer hiking trips in the Canadian Rockies. Some of the most spectacular scenery known to man, challenging hikes, mountaineering, gourmet mountain cuisine, comfy accommodations and now this speaker series come together to ensure a spectacular journey for both the body mind and soul. July 24-27, 2012: Heli-Hike in the breathtaking Bugaboo mountain range of Western Canada with National Geographic Explorer-in-Residence, Wade Davis. Davis, an anthropologist, botanist, photographer, author and poet and a “passionate defender of all life’s diversity” is a wonderful storyteller who will pique guests’ curiosity as they ramble amid the majestic Rockies. Back at the Bugaboo Lodge, he will give his acclaimed Massey Lectures presentation, The Wayfinders: Why Ancient Wisdom Matters in the Modern World. August 5 – 8, 2012: National Geographic author and editor Marybeth Bond, a leading expert and advocate of women’s travel and author of 11 books, including the best-sellers 50 Best Girlfriends Getaways in North America, A Women’s World and Gutsy Women, leads this Heli-Hiking escape at CMH’s Bobbie’s Burns lodge. 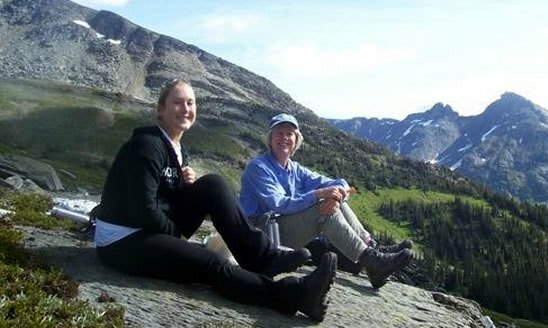 Marybeth and her daughter share the story of the 3,114-mile bike ride they took in 2010 from San Francisco to New York for the National Osteoporosis Foundation. This is an ideal setting for women to reconnect and have fun with those who have had a significant impact on their lives – be it a mother, godmother, aunt, sister or friend. August 8 – 11, 2012: Adventurer and world traveler Brian Keating has led over 80 expeditions to some of the planet’s most wildlife-rich corners. The host of the Discovery Channel’s Going Wild with Brian Keating joins his wife Dee to lead an entertaining (and sometimes hilarious) Family Adventure out of the Bobbie Burns Lodge for kids of all ages. Brian and Dee are superb storytellers and their tall but true tales and evening video presentations are CMH Heli-Hiking highlights. 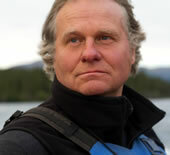 August 26 – 29, 2012: Renowned polar explorer Eric Larsen returns to CMH for a story-rich escape in the Bugaboos. Larsen, the first person to reach both the North and South poles and the summit of Everest in the span of a year, shares his harrowing and amusing tales with CMH guests. Back at the lodge, Larsen will present Into the Heart of Cold – a bracing account of this epic expedition. September 7 – 10, 2012: Join grizzly bear expert Michael Proctor in the Bugaboos for daily hikes and walks filled with ursine lore, as well as insights into his research with the Trans-border Grizzly Bear Project. A lively presentation back at the lodge will show how the team uses DNA as a tool to understand grizzly bear ecology. Presented in partnership with the Nature Conservancy of Canada (NCC), 10% of the trip cost will go directly to the NCC for the protection of ecologically sensitive lands. These trips are priced from CAD $2,565 for adults. Reduced rates apply for those under 17 years of age. For more information, please visit http://www.cmhsummer.com or call 1-800-661-0252. Offering heli-adventures since 1965, CMH is the world’s oldest and largest heli-skiing and heli-hiking operator. From their head office in Banff, Alberta, CMH operates exceptional mountain experiences at 11 lodges located in the Bugaboo, Purcell, Selkirk, Kootenay, Monashee, and Cariboo ranges of British Columbia, Canada. Heli-skiing takes place each year from December through April, and CMH Summer Adventures take place from July into early September.